Moscow and Tehran will soon sign an agreement on the construction of a new nuclear power plant in the Islamic Republic, Iran’s Foreign Minister announced. “Iran has held consultations with the Russian side and soon an agreement of mutual understanding will be signed on the construction of a new nuclear power plant,” Ali Akbar Salehi, Iranian foreign minister and former nuclear chief, said on Sunday. He reiterated that Iran’s nuclear program is purely peaceful, as the country needs nuclear power for electricity generation and medicine. The statement comes ahead of the first meeting between Iran’s newly elected President Hassan Rouhani and Russian President Vladimir Putin on September 13. The talks are part of a Eurasian summit taking place in Kyrgyzstan’s capital of Bishkek, a Russian presidential aide said Friday. “After Rouhani’s election as president, the Iranian government sent us a proposal to hold a Rouhani-Putin meeting within the framework of the Shanghai Cooperation Organization summit in Bishkek,” Yury Ushakov said. Last month, Russian business daily Kommersant cited anonymous sources which said that Vladimir Putin may visit Tehran to meet Hassan Rouhani in mid-August. Rouhani was sworn in on August 4 and replaced Mahmoud Ahmadinejad as head of Iranian government. During his first press conference on Tuesday, Rouhani said that Iran would continue negotiations with Russia on nuclear power development in the country. "We need to get 20,000 megawatts of nuclear power. We have been negotiating on this. I hope that everything will develop according to schedule, and Iran will be able to continue to build nuclear power plants and continue to cooperate. The Iranian government will continue to negotiate with neighboring countries, one of which is Russia, to develop peaceful nuclear energy," he said. Russian parliament speaker Sergey Naryshkin said during his visit to Iran on August 4 that Russia intends to expand cooperation in civilian nuclear power after Iran’s nuclear power plant at Bushehr is fully commissioned in September. 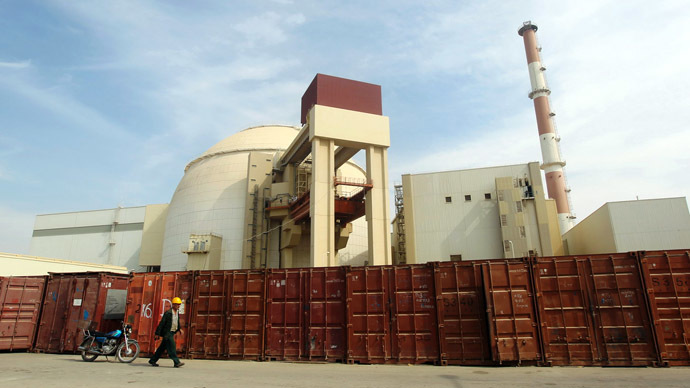 The construction of Bushehr - the first civilian nuclear plant in the Middle East - was started in 1975 by German companies, but the work was stopped in 1979 after the Islamic revolution of Iran. 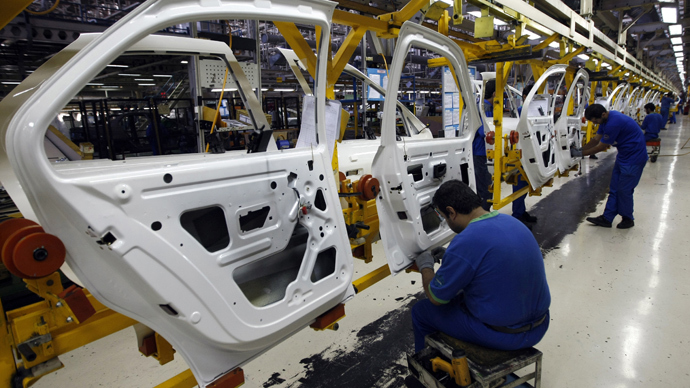 A contract for finishing the plant was signed between Iran and the Russian Ministry for Atomic Energy in 1995. Bushehr nuclear power plant launched in 2011 has no link to nuclear weapons production and cannot be used to develop such technology. The US and its allies have long accused Iran of seeking to develop a nuclear weapons capability – a claim which Tehran has repeatedly denied. Several rounds of talks between Iran and the five permanent members of the UN Security Council plus Germany have failed to resolve the dispute. 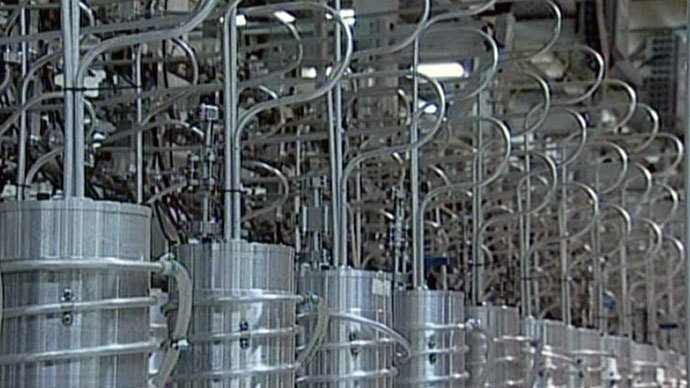 Iran’s critics claim the country has used nuclear negotiations as a delaying tactic while continuing to develop nuclear weapons technology behind closed doors. Tehran insists its nuclear program is for entirely peaceful purposes.